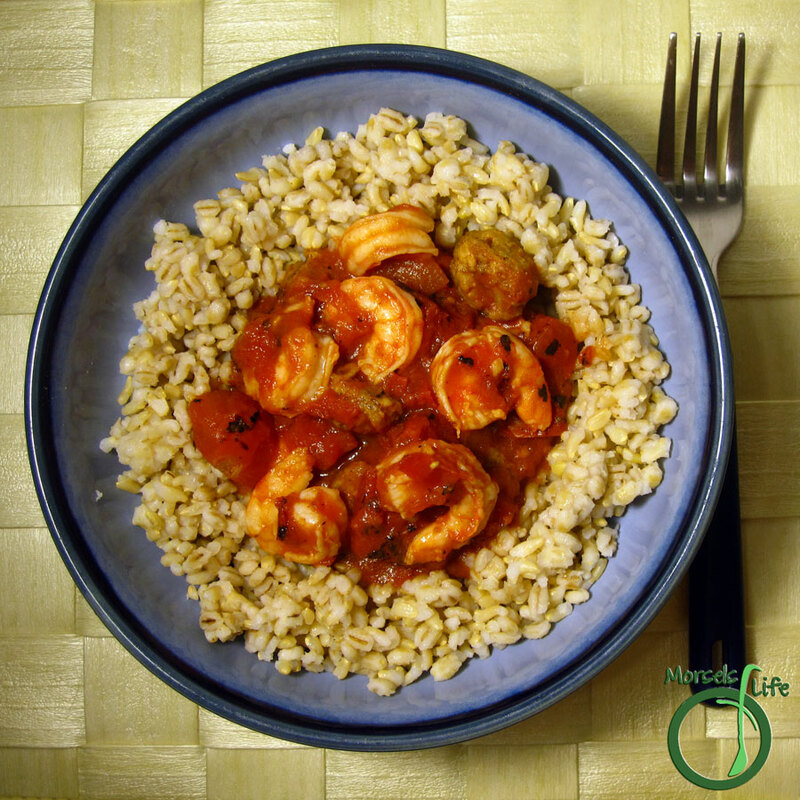 A spicy, smoky stew of peppery sausage and shrimp simmering in a tangy, zesty jambalaya. Regrettably, I've never had the privilege of traveling down to Louisiana and visiting the Big Easy. It conjures up images of red, hot summers, all-night jazz clubs, and food so spicy it'd make the eyes of even the most stoic water in joyous agony. While I'm still waiting for the windfall of cash to wind up at my doorstep, I can at least try to get perhaps a small sampling of jambalaya. James seemed hesitant about the idea of me making jambalaya since it brought flashbacks of his Army days and jambalaya MREs. As he describes it, it's like eating gasoline, tomato sauce, and sausage. I figured I could do better than gasoline, tomato sauce, and sausage, so I gave this Creole Jambalaya a try. The dish calls for a bit of patience and time but not too much effort. In the end, you have a wonderful concoction of sausage and shrimp in a tomato base. Place all materials except shrimp into slow cooker and set for 4-8 hours. Approximately 30 minutes before jambalaya ready, stir in shrimp, and cook until pink.